It’s one of the most uncomfortable times for a musculoskeletal radiologist - as diagnostic professionals, that’s saying a lot - but when a patient is physically too large to fit an imaging machine, there’s no choice but to refer them somewhere with special equipment. As the number of bariatric patients grow, this situation is becoming all too common, and hospitals are beginning to respond by making plus sized accommodations available. Many fluoroscopy machines, for example, have a weight limit of 350 lbs, and allow just 20 inches between the bed and the imaging device. This is simply not enough for many twenty first century patients, and the effect it can have on their often already depressed mood can be devastating. Hospitals such as Massachusetts General Hospital (MGH) in Boston, along with many others, have responded by buying enlarged equipment; MGH now houses a fluoroscopy machine that accommodates up to 550 lbs, and has an aperture of 48 inches. Though the investment required for this “updated” equipment is not negligible, staff have found it completely invaluable. "Patients aren't even aware the machine is designed especially for the obese," Maureen Seluta, R.T. commented to the Radiological Society. "We treat about two bariatric patients a day—numbers that are expected to keep rising. We are getting more than enough use out of it." Manufacturers are responding to this increased demand by not only making larger products, but also fine tuning the technology they offer. Because of the extra layer of tissue between the machine and the injury, images may not be as clear. This issue is only exacerbated by the fact that heavier patients are more likely to experience musculoskeletal injuries, and need treatment, as they are more likely to lose balance or have an asymmetrical distribution of weight. While the industry rushes to produce technology to improve imaging on bariatric patients, there is also a growing need to educate radiologists on how to protect their own health when administering tests. Ideally, facilities will provide proper slings and hoists to assist professionals. Whether these tools are provided or not, it’s of the utmost importance that healthcare providers know their limits and abilities, and find assistance when manual relocation of a patient may cause danger to themselves or those they attend to. Lastly, because it is not uncommon for morbidly obese patients to only present in an emergency (because of both the emotional and physical distress caused to them by travel), it’s important to have a plan of action ready for emergency staff. 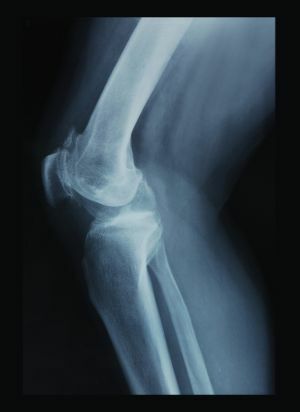 While paramedic teams should consider this basic training, a musculoskeletal radiology team may not prioritize this task until the situation is already upon them. The importance that staff know what equipment is available to them, the specifics of use, and what “plan B” is in the case of a mechanical failure or unique patient situation cannot be emphasized enough. As the health situation of our country and the world continues to evolve, it’s paramount that medical staff stay agile, and adapt to changing patient needs. As the obesity rate of our country rises, musculoskeletal radiologists can expect to have an increased workload, as well as new challenges in their future.